Update for USB Connect: Version 1.5 including common improvements is available for download from the Downloads tab or from "PC Software/RTW USB Connect" section at members area (Manuals & Software) . 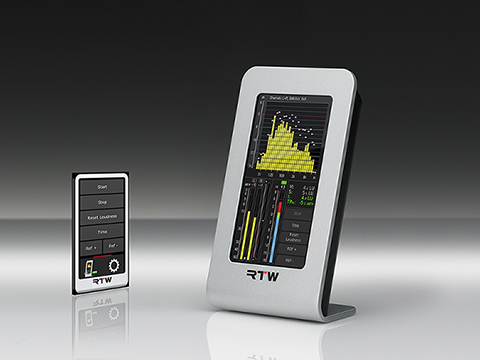 RTW USB Connect is a complimentary software expanding the field of applications for TM3-Primus with firmware version 1-02 or higher or MM3 MusicMeter (no longer available). It supports the USB hybrid function of TM3-Primus or MM3 MusicMeter (no longer available) for direct access of audio signals from a DAW. Additionally, USB Connect provides remote control of the Start/Stop/Reset/Time/Ref+/Ref- functions without the need to define TM3-Primus or MM3 MusicMeter (no longer available) as a standard audio output device. The software is available for most of the common plug-in formats as well as stand-alone application for Mac® and Windows® systems. but also for older versions, can be found in our members area.